There’s no bachelorette party weekend quite like a Camps Bay bachelorette party weekend! And the 4-bedroom luxury Paradise Views Villa will make it that much sweeter! Four levels of unparalleled luxury, comprising of 4 lavish suites, each with their own bathroom, a beautiful open plan living space, state-of-the-art amenities and everything you could ever need for a bachelorette weekend away in Cape Town. But besides it’s chic interiors, this Camps Bay Villa offers the perfect outdoor paradise to take your celebrations to the next level! 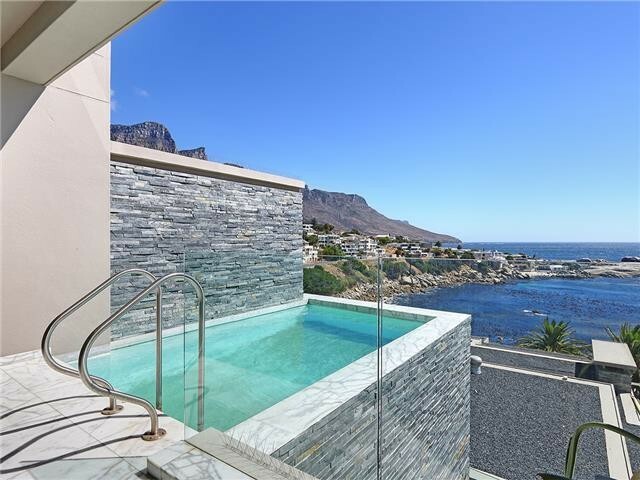 Plunge pool, pool-side loungers, stunning outdoor dining area and the most spectacular view of the Atlantic Ocean and the striking Twelve Apostles Mountain Range is just some of the what awaits you! This Paradise View villa is also located close to the famous Camps Bay sunset strip as well as a range of incredible inner-city hotspots. Llandudno is one of the most beautiful beaches in Cape Town, that combined with being in one of the most beautiful cities in the world makes for one spectacular bachelorette weekend getaway in the magnificent Mother City. 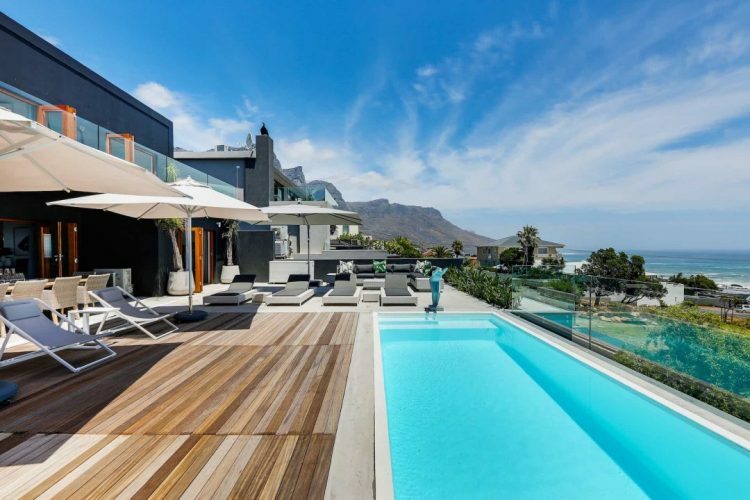 Situated on the Llandudno shore, Cool Waters is a stunning 5-bedroom villa that offers the perfect coastal escape for a weekend of fun in the Cape Town sun. It also includes incredible features like a swimming pool, lawn, open living space and plenty of contemporary touches and additional features to make your Llandudno stay one to remember. Llandudno is also famous for its sheltered beach, thereby making it the perfect hideaway for you and your group of friends looking to have the very best time! Are you ready to be sun-kissed and loved up in Cape Town? Imagine lounging on a pool side deck looking out over one of the most magnificent coastlines in the world, all with your very best friends and family members by your side. 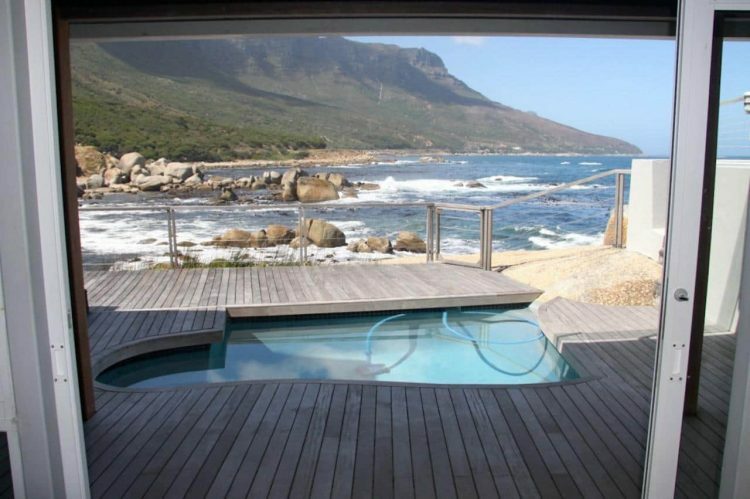 Well, by making the spectacular Jo Leo Camps Bay Villa yours for the weekend that can absolutely be your reality. Thereby making this a bachelorette weekend you’ll never forget! 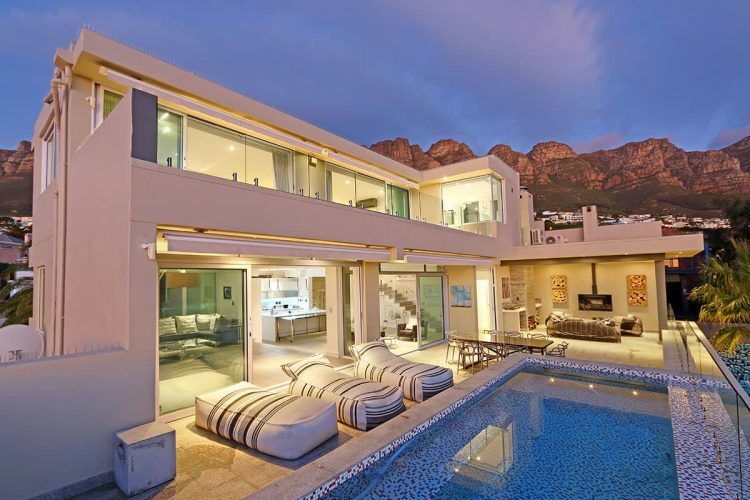 Four beautiful bedrooms, a fully-equipped kitchen with top-end appliances, a private terrace with sun loungers, barbeque, outdoor dining table and a rim-flow swimming pool and panoramic picturesque views are just some of the sensational things you can expect to enjoy at this lavish Camps Bay villa. Are you ready for a bachelorette weekend of fun and sun in Cape Town? Well, that’s exactly what you’re about to get! The Villa Panorama is pure Camps Bay bliss, located close to what is known as the Miami of Cape Town, as well as all the exciting locations and trendy inner-city hangouts the Mother City has to offer, the Villa Panorama is the perfect location for an epic bachelorette party weekend in Cape Town. This 6-bedroom luxury villa is therefore ideal for a large group of party-loving friends ready to let loose! Boasting beautiful contemporary living and dining areas, 2 swimming pools, along with multiple sea-facing relaxation and living areas, balconies overlooking Clifton Second Beach and an abundance of 5-star amenities, this lavish Camps Bay villa has EVERYTHING you’ll need for an unforgettable weekend in the Mother City. The stunning Atlantic Retreat Villa is the ultimate Atlantic Seaboard bachelorette party paradise, boasting 7 beautiful bedrooms it allows you to bring your very best group of girlfriends for a Cape Town celebration they won’t soon forget! 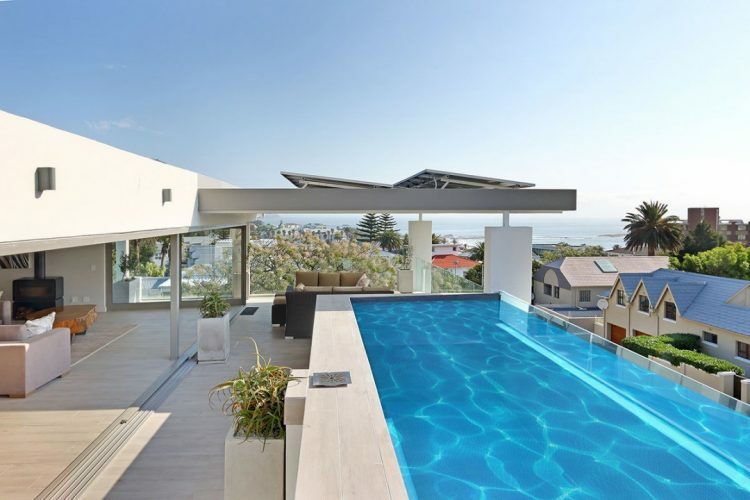 Besides being just a short walk from the picturesque Camps Bay beach front and the iconic Camps Bay sunset strip, the Atlantic Retreat is an ultra-modern 5-star villa that comes fully-equipped with absolutely everything your Cape Town loving heart desires. Boasting impeccable modern interiors and a lavish outdoor living space, the Atlantic Retreat really has the very best of everything. Noordhoek is by far one of Cape Town’s most beautiful laid-back suburbs, boasting spectacular 360-degree panoramic views of the stunning Noordhoek beach and surrounding mountain ranges, the Waterline Villa is the perfect Noordhoek escape. While both modern and minimalist, Waterline was designed first and foremost with comfort in mind. 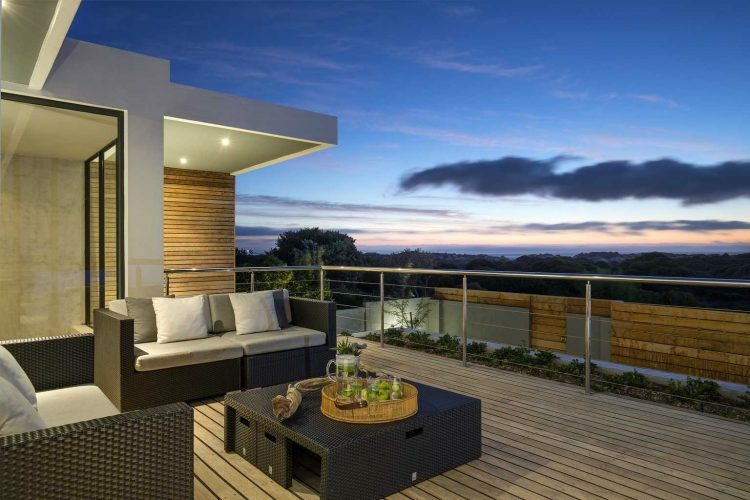 Besides modern and chic interiors, including 4 beautifully spacious bedrooms and stunning open plan living spaces, Waterline also offers you the very best of what luxury Cape Town outdoor living has to offer. Decks overlooking the dunes, outdoor lounges, a rim-flow swimming pool overlooking the ocean, relaxing sun loungers and an external gazebo is all waiting to be enjoyed and relished by you! Besides all of these incredible amenities, the Waterline Villa also offers you and your group of girlfriends a certain degree of privacy and exclusivity thereby allowing you to enjoy your bachelorette party the way you want to! Bakoven is not only home to one of the most charming beaches and without a doubt one of the very best Cape Town sunset spots, but the stunning Brook Bungalow too! Set in the idyllic Bakoven enclave, the Brook Bungalow is a beautiful 3-bedroom retreat situated right on the water’s edge and within walking distance of the famous Camps Bay beach front and vibrant sunset strip. This 6 sleeper Bakoven gem promises one unforgettable Cape Town weekend getaway and a sensational Atlantic and mountain range view that will have you feeling the Cape Town love just ahead of your big day. The Brook Bungalow is perfect for a bachelorette weekend away with your close friends. Home to the iconic Camps Bay sunset strip lined with some of the trendiest hangouts and chic sunset cocktail spots in Cape Town, Camps Bay is the ultimate bachelorette party destination! 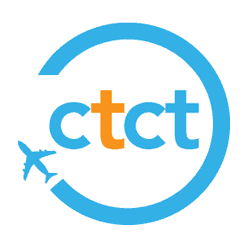 Cape Sunset is an elegantly designed and beautifully furnished 5-bedroom villa that sleeps 10 people, thereby allowing you to include as many of your best friends and family members on your bachelorette weekend breakaway. It also offers a spectacular Atlantic Ocean view that is guaranteed to leave you spell bound, and the best is you can see it from every bedroom too. 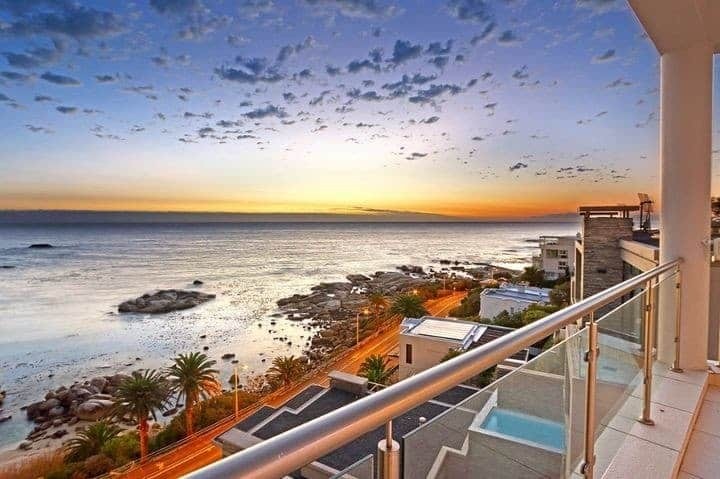 Situated merely 5 minutes from the famous Camps Bay sunset strip it keeps you close to the action without missing out on any of the Cape Town beauty and luxury, thereby offering you the very best Cape Town combination! This villa comes fully equipped with everything you could possibly need for a luxurious and exciting weekend in the Mother City. This 3-storey, 5-bedroom villa is mere 100m from the iconic Camps Bay, which means you have a range of trendy restaurants, bars and hangout spots right at your fingertips. Making it the perfect bachelorette party destination and weekend getaway for a truly exciting and memorable time in Cape Town. Perfectly positioned to shelter you from the South Eastern Cape Town wind, the Contemporary Retreat is also perfect for sun-bathing, pool-side lounging and sunset cocktails, thereby creating your own Cape Town paradise escape. Boasting a rim-flow pool, spacious entertainment area, beautiful open plan living area, 5 stunning bedrooms, fully equipped kitchen and so much more. This combined with the truly spectacular view makes the Contemporary Retreat villa perfect for a cool Cape Town bachelorette weekend away. Time to end this Cape Town bachelorette party weekend getaway list with a BANG, and this 8-bedroom 16 sleeper Camps Bay gem is exactly that and more! This is the perfect Cape Town bachelorette party location for larger groups of friends and family looking to have a fun weekend getaway in the Mother City. It’s 8 en-suite bedrooms, contemporary open-plan living and dining areas, cigar room, home cinema and a range of other sensational amenities and features makes it a dream to live in. But wait until you get outside! 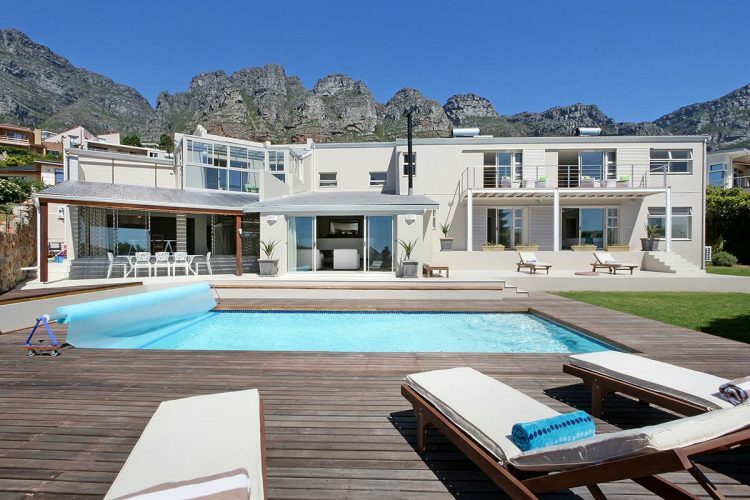 With a large private swimming pool, deck, garden space, a cocktail bar and balconies overlooking the Atlantic Ocean and Twelve Apostles mountain range, outside soaking up all that Cape Town sunshine, pool-side bliss and Mother City magic is exactly where you will want to be! 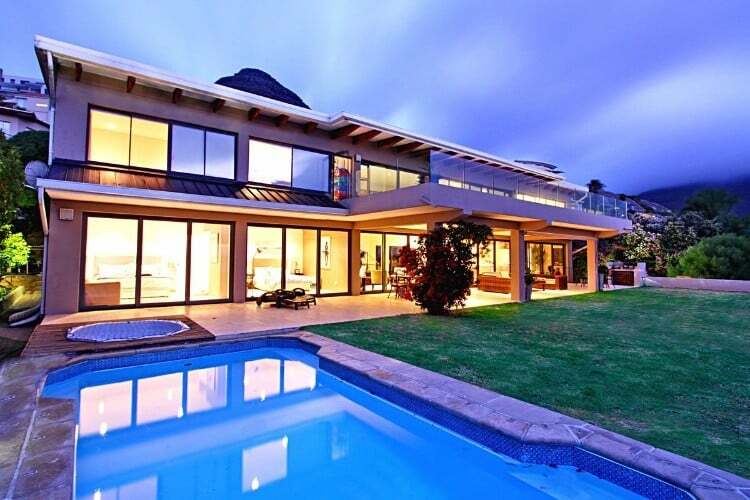 This sensational Villa is also in close proximity to all the Cape Town attractions, trendy local hotspots and must-see Mother City attractions. Whichever exclusive luxury villa you choose for your epic bachelorette party weekend in Cape Town, it promises to be filled with beauty, fun, excitement and truly memorable experiences you’ll cherish for a lifetime. Because there’s just something so special about celebrating one of your milestone moments in one of the most beautiful and exciting cities in the world, and it promises to be everything and so much more. So, what are you waiting for? 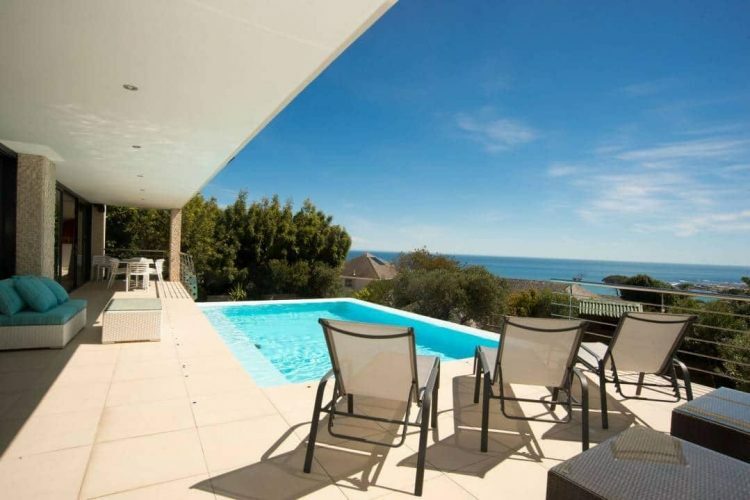 It’s time to book your luxury Cape Town villa for an epic bachelorette weekend! Planning a bachelorette party in Cape Town? Spend an unforgettable weekend with your friends at one of these luxury villas in Cape Town. You can also browse our selection of amazing accommodation by area, or get in touch today for help with finding the perfect budget-friendly for your epic bachelorette party weekend in Cape Town. We also offer exciting a wide range of exciting tours including private group tours for you and your friends.